To address that question, let’s use two compensation details of a hiring process. 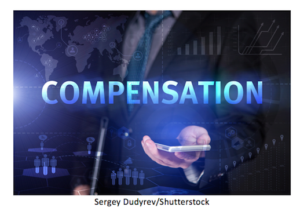 1) Can’t emphasize enough that compensation needs to be stated. Position descriptions vary in their level of detail. Some are very brief while others are thorough and informative. What does the position description reveal about the employer and what does it say to a qualified candidate? What it is the message to prospective candidates when the position description states for salary to “Submit your salary requirements” or “Commensurate with experience”? – As the employer, shouldn’t your organization have taken the necessary time to define the need you have when hiring? – As the employer, shouldn’t you also know your company’s pay scale? – Isn’t it the employer’s responsibility to have some idea of the compensation for the role while defining the responsibilities of the role? – Best Practice Hiring should filter out the candidates who are not qualified and filter in the ones who are. A candidate who currently earns way more than your company can afford is not a qualified candidate. – Hiring is about attracting the right talent. When candidates are told to submit their salary requirements, they may be hearing that your organization really has no idea what compensation to pay and may also have no idea what the role is or how to run an effective organization. – Perhaps the employer clearly knows the compensation range but does not want to make it public. While that makes sense, it leaves prospective candidates with doubts about your company. They may not even be comfortable applying. Is the trade-off worth that? 2) Why does it matter that salary only compensation isn’t enough? While members of today’s workforce are looking for stability and earnings assurances, times have changed from the days of Salary Only compensation. In my experience, a Salary Only comp plan is unfavorable to both the employer and to the employee. – There are many examples in today’s workplace of companies that should make quick, financial adjustments. One of the areas to control expenses is payroll. Companies looking to cut their payroll will look at cutting the biggest payroll costs. If the newly hired employee is receiving a large base salary, they can find themselves quickly on the chopping block. This is a major loss to the business that will never find out what the new employee could have become. It is devastating to the employee who now has a very short employment cycle in their work history and must find another job. – Salary Only comp plans offer little or no ability to measure and reward for performance. Shouldn’t the employees who exceed their performance goals be rewarded? – Let’s look at professional athletes. Their total compensation consists of guaranteed earnings along with specific incentives. Examples can include number of innings pitched during a season or number of touchdowns scored, etc. Isn’t their success measured by their performance? Shouldn’t great performance be highly rewarded? Can’t do that with a Salary Only plan. – Business professionals are like professional athletes. Business professionals should be compensated with a combination of base salary plus performance bonus. The bonus delivers a higher reward to the employee who has exceeded the performance goals. Click here for an example of Performance Compensation. In summary, businesses invest a lot of time and money hiring the right talent. The compensation aspect of hiring deserves the same amount of time. Compensation has a lot to do with hiring. The wrong approach to compensation can turn-off top prospective candidates before they ever consider expressing an interest in the role. As a business owner / business leader, how is your organization addressing compensation when you need to hire critical talent? Is it time to revisit this sometimes overlooked detail?